One of the things that I've always particularly liked about Doctor Who is its bookishness and range of reference, though the extent of this has obviously fluctuated over the last 48 years - its not a very apparent feature of recent Who, in which the Doctor praises Agatha Christie as one of the great novelists of psychological understanding, which I'm sure would come as something of a surprise to her. Many Doctor Who stories are derived from a classic literary source or can be read as forming a part of contemporaneous movements and trends in fiction. This is the first part of an exercise in coming up with a reading list that could be read alongside watching the entire run of the programme. Sometimes, as in Marco Polo or The Myth Makers the book is the self-evident source text for the story. In other cases (The Reign of Terror or The Dalek Invasion of Earth ) the ideas and narrative of a classic text have obviously formed a large part of the author's understanding of how to write a story within the specific setting, connections that will be picked up by a culturally aware viewer. In other instances, specific elements of the story can be said to have literary antecedents, such as the Dalek city in The Daleks or the treatment of the Mary Celeste story in The Chase. On other occasions, stories tap into currents in contemporary science fiction or drama, seen here in The Aztecs or The Rescue. 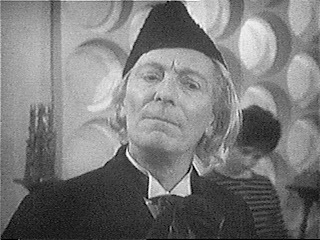 An Unearthly Child - The Inheritors, William Golding, 1955. The Daleks - Man & Superman, George Bernard Shaw, 1903. The Edge of Destruction - Huis Clos, Jean Paul Sartre, 1944. Marco Polo - The Travels of Marco Polo, Marco Polo, c1299. The Keys of Marinus - The Tempest, William Shakespeare, c1611. The Aztecs - The Royal Hunt of the Sun, Peter Shaffer, 1964. The Sensorites - The Demolished Man, Alfred Bester, 1953. The Reign of Terror - A Tale of Two Cities, Charles Dickens, 1859. Planet of Giants - The Borrowers, Mary Norton, 1952. The Dalek Invasion of Earth - The War of the Worlds, H.G Wells, 1898. The Rescue - The Silver Locusts, Ray Bradbury, 1950. The Romans - A Funny Thing Happened on the Way to the Forum, Stephen Sondheim, Burt Shevelove and Larry Gelbert, 1962. The Web Planet - The Insect Play, Karel and Josef Capek, 1921. The Crusade - The Talisman, Walter Scott, 1825. The Space Museum - The Bridge at San Luis Ray, Thornton Wilder, 1927. The Chase - J. Habakuk Jephson's Statement, Arthur Conan Doyle, 1884. The Time Meddler - Last of the Saxon Kings, Edward Bulwer-Lytton, 1848. Galaxy Four - Brave New World, Aldous Huxley, 1932. Mission to the Unknown - Live and Let Die, Ian Fleming, 1953. The Myth Makers - The Iliad, Homer, c800 BC. The Daleks' Masterplan - Strangelove or How I Learned to Stop Worrying and Love the Bomb, Peter George, 1958. The Massacre - The Massacre at Paris, Christopher Marlowe, c1593. The Ark - The Time Machine, H.G. Wells, 1895. The Celestial Toymaker - The Glass Bead Game, Herman Hesse, 1943. The Gunfighters - Warlock, Oakley Hall, 1958. The Savages - The Machine Stops, E. M. Forster, 1909. The War Machines - The Nine Billion Names of God, Arthur C. Clarke, 1953. The Smugglers - Doctor Syn: A Tale of the Romney Marsh, Russell Thorndike, 1915. The Tenth Planet - When Worlds Collide, Philip Wylie and Edwin Balmer, 1933.